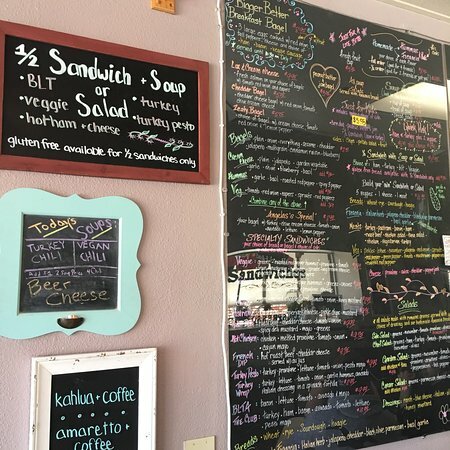 Great small sandwich shop with homemade soups, salads and sandwiches. 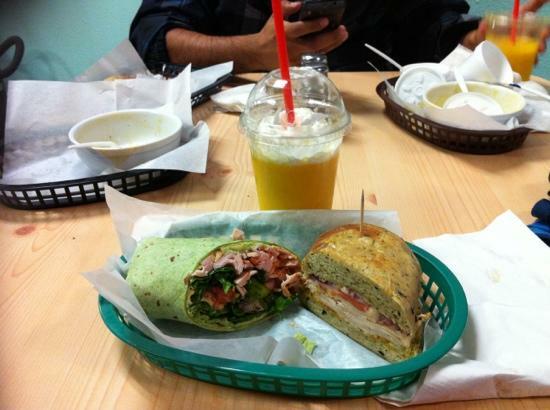 Food is freshly prepared and absolutely worth the wait! A new find for us here in Big Bear! 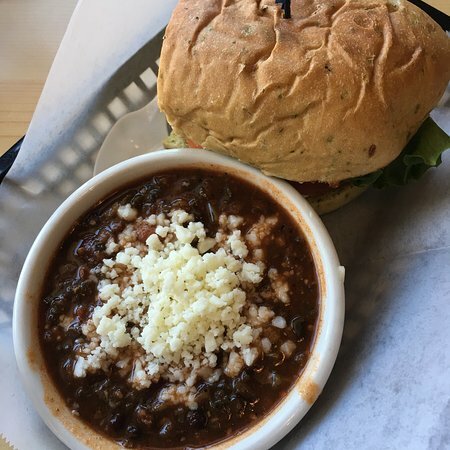 Great Chili for a cold day. 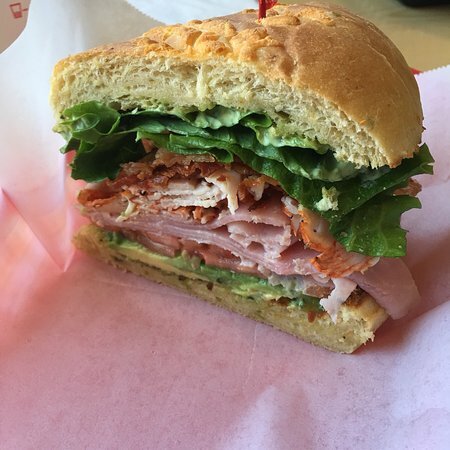 Terrific sandwiches and salads. The food is great. I don't like standing in line to order my food, however...that is the ONLY reason I didn't give it a 5. Enjoy! Asked a local for a good lunch. This is the place! 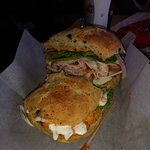 The best sandwich Ive had in a very long time! I couldn't believe how good it was. I had the pastrami. Check them out! Lunch with our pup at Big Bear. 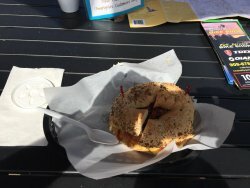 Had a late breakfast - excellent coffee, delicious lox and bagel. Very good prices. Outside tables accommodate folks with pets (like us!) 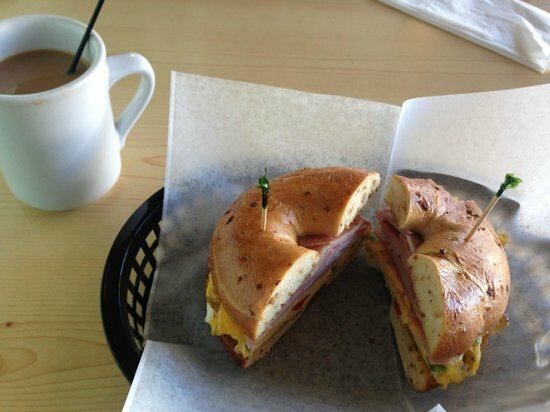 Would definitely go there again for breakfast or lunch. Great place for lunch right in the Village. 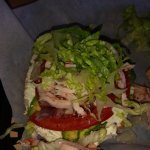 Had BLTA and custom ham on focaccia - both were great. Also had live music the day we were there. Nice outdoor seating. 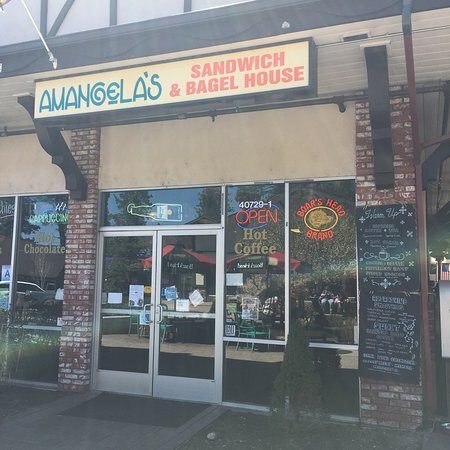 Get quick answers from Amangela's Sandwich and Bagel House staff and past visitors.